By now you’ve probably heard all the controversy around the “Ashley Madison Hack”. If not, here’s a quick recap: Ashley Madison, a dating website primarily meant to help people have extramarital affairs, was recently threatened by a hacker group called “The Impact Team”. The team condemned the morals of Ashley Madison and its members, threatening to release users’ private information (names, addresses, credit card information, etc.) if the site was not taken down. The group recently followed through on their threat, and the aftermath is worse than anyone expected: the private information of over 30 million Ashley Madison users was posted publicly online. Those users now live in fear of being publicly shamed on the web – which could have a massive impact on their personal lives. While on the surface this may seem like a deserved day of reckoning for exposed adulterers, it speaks to a much larger privacy issue that concerns everyone. We live our entire lives online, and our actions there hinge on the promise of privacy. We believe that what we buy, where we bank, what we research, and even who we date should be private. So regardless of how you feel about adultery, we should all be terrified at the idea that a single group or person can decide to compromise that promise for their own personal agenda. Users who were exposed by the hack are not necessarily adulterers. In fact, some people may have never signed up in the first place. Since free accounts didn’t require any verification, it’s possible someone used someone else’s email to sign up for an account. Others aren’t on the site for an extra-marital affair. According to interviews with the founder, many people use the site to discreetly find partners who share unique sexual habits. Even further, many people claim they browse the site as a cathartic fantasy exercise with no real intention of ever acting on it – the equivalent of writing an angry letter with no intention of ever sending it. No matter the case, this will likely cause a lot of embarrassment and even severe personal turmoil for people who never actually did anything wrong. Not all users are having extramarital affairs behind their partners’ back. According to past interviews with the founder, a growing number of people are in consensual open relationships and use the site as a way to discreetly find new partners. By exposing their information, you’re breaching their promise of privacy and causing severe embarrassment for them. Even for those having non-consensual extramarital affairs, this is a cruel way to expose them. You won’t find many people who outwardly approve of infidelity. That said, most people would also agree that a relationship – and all its ups, downs, betrayals and triumphs – are not the business of the general internet. When you publicly shame someone, you’re not just hurting the perpetrator, you’re hurting their spouse and family too. Let’s forget about Ashley Madison and move on to the bigger picture. While cheating happens to be a generally frowned upon subject, what if the crusaders were against something else? What if they exposed a private online support group to help struggling people come out of the closet? What if they exposed the private records of people who have had abortions? What if they exposed the home addresses of people who support gun rights? The point is this: online privacy is important, and we need to make sure we take measures to protect it. Unfortunately your hacked user information is already out in the wild, which means it’s only a matter of time before it will start to appear in search results when people Google your name. 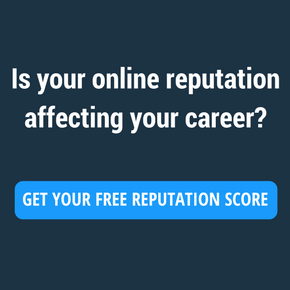 But by proactively taking measures to strengthen your online reputation now, you can prevent this information from defining who you are online. The website ashleymadisonhack.org has in-depth information about how to limit the damage of the Ashley Madison hack. It also provides measures you can take to prevent something like this happening to you in the future. Full disclosure: the site was created by my company BrandYourself, whose mission is to help people have a say in what appears about them online. If you’re not an Ashley Madison user, why does this privacy breach matter to you? Online privacy matters even if you have nothing to hide. No matter who you are, if that info was published without your consent, it would cause embarrassment and undoubtedly lead to personal and professional issues – especially if that information was released without any context, like in the Ashley Madison hack. How can you minimize the chances of your privacy being breached?